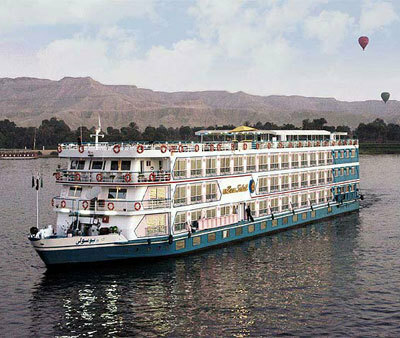 The Nile Festival can only be compared to a floating 5 Star hotel with 60 comfortable well furnished cabins. The Festival has a swimming pool with pool bar and shaded deck area from which you can marvel at the romantic setting. Once aboard you'll have all the luxuries you need to have a memorable stay including a a large restaurant and a beauty salon. Guests will stay in a fully air conditioned cabin with its own bathroom with shower, TV, radio, telephone, music system and safety deposit boxes. Christmas and New Year's Eva Gala dinner is included in the price.